For 36 years I worked in BBC Radio and from my unique inside position I wrote all I knew about Britain’s favourite radio station and the DJ’s who worked there. 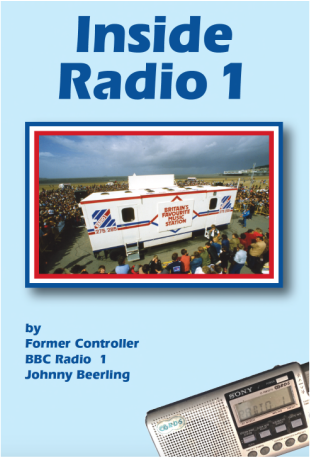 The book covered the launch of Radio 1 in 1967 and the many problems that had to be overcome to sustain it, the stories of the DJ’s who came and went and the launch of Radio 1 Club. For the first time I wrote about the production of the widely acclaimed 14 hour documentary, The Beatles Story, the most authorative and comprehensive radio documentary on the Beatles. I described how I devised the Radio 1 Roadshow which was the BBC’s biggest travelling show which ran for over 26 years, and I told the true tales of the fun and games behind the scenes. How I came to be put in charge of Britain’s biggest Radio Station and the politics of working with Chairman “Duke” Hussey and Directors General Michael Checkland and John Birt. I included the inside gossip on the top DJ’s and their tears and their tantrums. John Peel, Noel Edmonds, Tony Blackburn, Dave Lee Travis, Mike Read and Simon Bates, and in the case of Jimmy Savile I updated the story in the light of the 2014 discoveries and tell all I know about him. The coverage of the world’s biggest pop concert, Live Aid was explained in full and I told what it was like backstage at Wembley. I write about it in the past tense because I am pleased to say the book is now sold out and there are no more copies available unless you can find a second hand one on eBay.